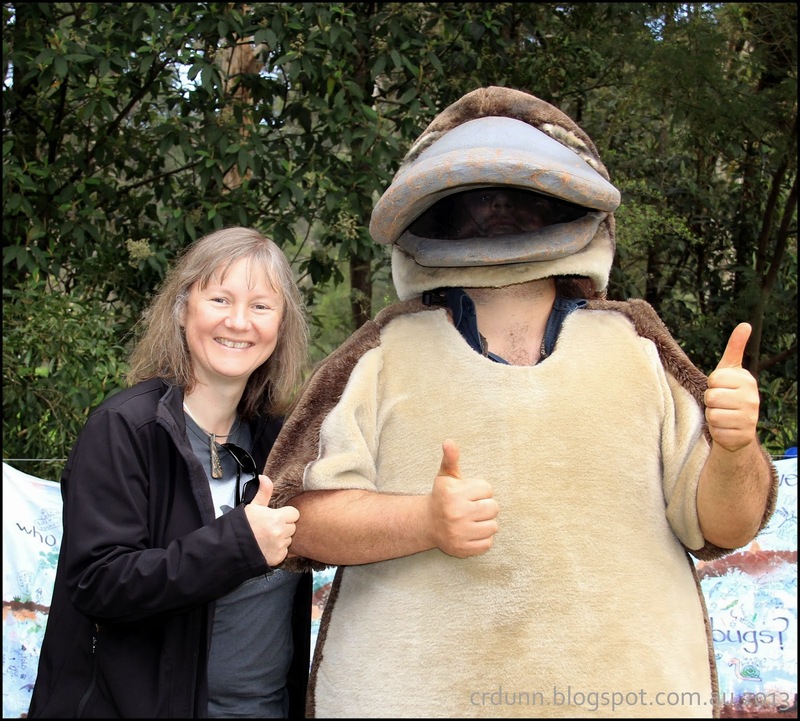 I was delighted to attend the fifth Awesome Ornithorynkids (platypus) Day, a celebration of the Monbulk Creek platypus population and environment at Belgrave Lake Park. 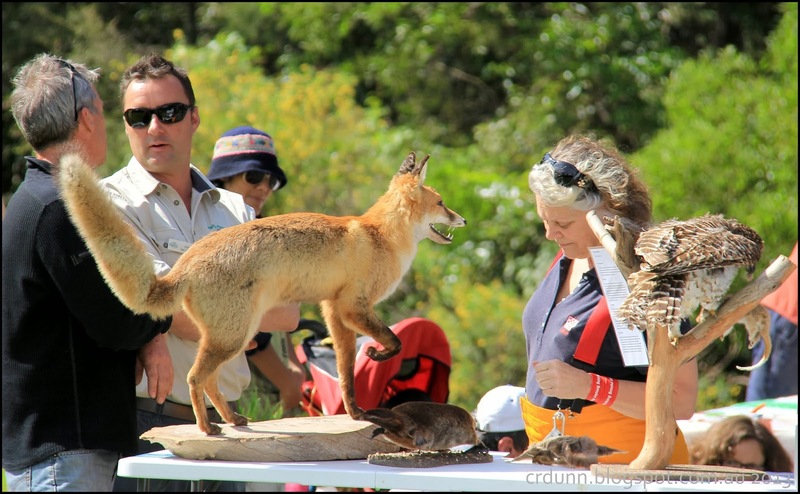 A key event of the Southern Dandenongs Landcare Group, organisers planned a range of activities for all to participate in. This year I MC’d the night time creature sounds competition and I was amazed at how many creatures were readily identified by participants. 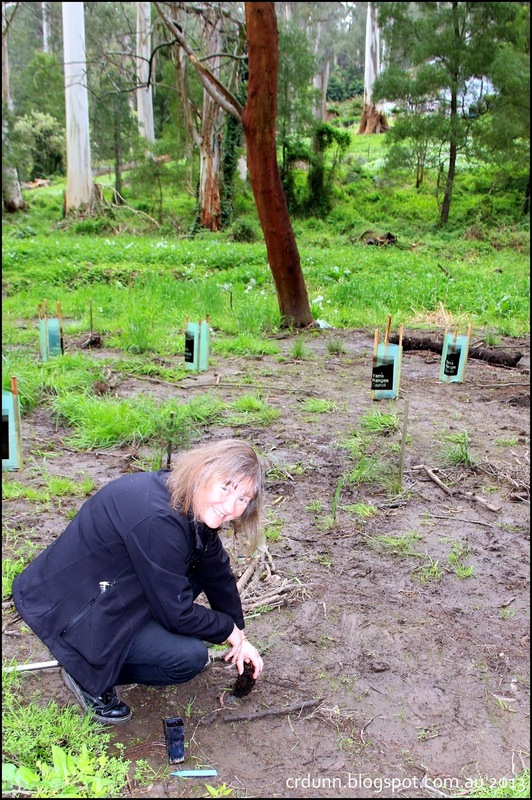 The day included a planting on the banks of the Monbulk Creek, a known habitat area for our local platypus population. Awesome Ornithorynkids provided a great opportunity to harness some community energy into replanting, with 300 plants put in on the day as part of the revegetation program. An enormous amount of work has been completed removing weed nasties like Wandering Trad (ranked number 10 as worst weed in Yarra Ranges) under the Urban Fringe Weed Management Initative (UFWMI), a jointly funded project which has seen $1million of state government investment over four years matched by council to start to tackle weeds across land tenures in the Dandenongs. I can only hope that we see tripartisan support for this initiative into the future and a recommitment to fund the program as we head into an election year in Victoria. The UFWMI has had some great outcomes in terms of biodiversity improvements as well as continuing the great relationship between council and community environment groups in the protection of natural values and the threat of weeds. There’s been an enormous amount done in the Dandenongs and Awesome Ornithorynkids is a great way to showcase this work, educate locals on our local icon, the platypus and harness some of that community passion into planting or other volunteer opportunities. Well done SDLG.